1 pound of greens in each 2-cookie serving! These healthy sweet treats truly are “The Bomb” for flavor, texture, a feeling of satisfaction AND they are good for you! Really good for you. 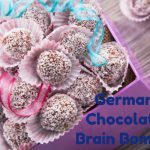 I made a few changes to the original recipe to up the nutrient content and reduce the sugar content and these German Chocolate Brain Bombs have been popular for several years, even among non-healthy eaters. 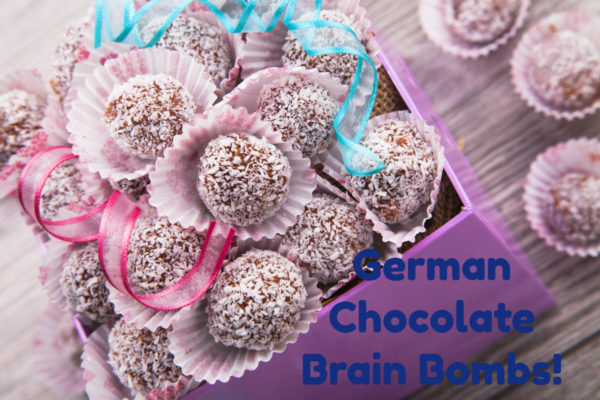 Why are German Chocolate Brain Bombs Good for You? Raw (Chocolate) Cacao has tons of health benefits. I remember the first time I tasted raw cacao, or raw choclate. Tim and Tiffany were students of mine and Tim found the raw chocoate on the web and brought me some to try. Back in those days (2006) it was $32.00 US per pound! Twice what you can buy it for today. That’s right Princess Leia…28 pounds of Leafy Greens along with 3 more types of Cocoa. I’m telling you these German Chocolate Brain Bombs are a nutritional powerhouse! One (2 cookie) serving provides you with approximately one pound of leafy green nutrition. 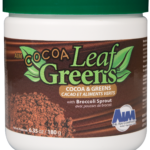 Order Cocoa LeafGreens Here: https://tinyurl.com/brainbombs 84 cents for 1 delicious serving that contains the vegetable nutrition of 5 pounds of healing leafy greens, 5 cups of cancer protecting broccoli sprouts and 3 types of the best antioxidant God made, cocoa, including raw cacao. “The benefits of cocoa flavanols on cardiovascular health are well established and for the general population a daily intake of 200 mg of cocoa flavanols is starting to emerge as a potential target within the context of a balanced diet,” says Dr. Alonso-Alonso. ProPeas protein powder provides 24 grams of protein in this recipe; the equivalent of an entire chicken breast. This alkalizing, non-GMO protein powder is also hypo-allergenic, nut free, soy free and gluten free. ALL AIM products are tested to be sure they are pesticide and herbicide free, and clean of 300 pathogens. Proteins in our diet affect brain performance because they provide the amino acids (simply put, protein is made of amino acids) that make up our neurotransmitters. Think of neurotransmitters as biochemical messengers whose job it is to carry signals from one brain cell to another. Almond Butter in German Chocolate Brain Bombs ProvideBeneficial Fats and Nutrients. In one study, participants who received vitamin E improved statistically and clinically in some memory and verbal measures, while participants who received a placebo did not. 1/4 cup of almonds or hazelnuts packs in nearly 50% of the RDA for vitamin E.
Cognitive Declinein Dogs(really!) A fairamount of research has been done on MCT oil and cognitive decline in dogs. (43, 44, 45) You can now buy dog food with MCTs to keep those doggie brains sharp. Note: I use my Ninja Food Processor to mix this. It can also be done in a stand mixer with the paddle or by hand. Toast 2/3 cup Coconut in skillet (see how to toast coconut below). Put the remaining coconut in a small bowl or plate for topping, add the 2 Tablespoons chopped Pecans. Add Wet ingredients to coconut and stir well. (nut butter, honey, coconut oil, vanilla, blend well. Stir in dry ingredients, blend well. (Save pecans for topping). Make into balls. I use a small cookie scoop and cut the ball in half so two balls from each cookie scoop. If you prefer flat cookies, just scoop your dough in a cookie scoop and flatten into a circle. 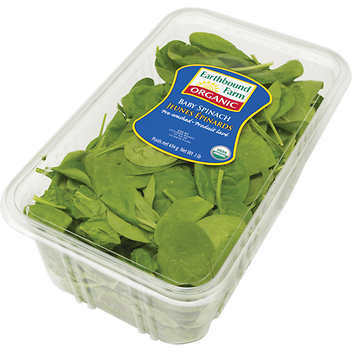 Freeze or store in refrigerator for one month. Preheat a medium sized skillet for 30 seconds. Add coconut and stir while over medium heat for 1-3 minutes until coconut started to brown. Continue to stir in the pan until lightly browned. Using a cookie sheet with sides, spread coconut in a thin layer. It is important for the cookie sheet to have sides to avoid spilling it everywhere. Bake coconut for 1 minute, stir or shake the pan. Watch the coconut carefully...I leave the oven door open. It toasts quickly as it is high in beneficial fats. NOTE: It is OK to toast more than you need and keep in freezer.